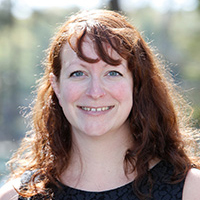 Dr. Orcutt is an aquatic microbial biogeochemist and molecular biologist with expertise in identifying the form and function of microbial communities in deep sea sediments. She has participated in over 20 oceanographic expeditions in the Gulf of Mexico as well as the Atlantic and Pacific Oceans, and she has extensive knowledge of shipboard operations with sediment coring devices, remotely operated vehicles, and submersibles. She has designed and tested long-term observatories for marine subsurface investigations of microbial community dynamics, which are being used as part of the ECOGIG efforts to understand the impact of oil on sediment microbiology.